Ted M. Dunagan has been nominated–again!–for the 47th Georgia Author of the Year Awards (GAYA) in the young adult category for Secret of Satilfa (NewSouth Books). The GAYA are the oldest literary awards in the Southeastern United States that honor both independently published authors and those whose books are published by traditional publishing houses. Winners will be announced June 11, 2011. Good luck to you, Ted! Secret of the Satilfa is the sequel to Dunagan’s debut novel A Yellow Watermelon, which follows the adventures of two boys, Ted and Poudlum. In the fall of 1948, young Ted and Poudlum have their post-Thanksgiving fishing trip to the Cypress Hole on the Satilfa Creek interrupted by unwelcome visitors—fugitive bank robbers. They manage to escape and return to the Satilfa to search for money rumored to have been hidden by the criminals—along with seemingly half the locals of their town. However, Ted and Poudlum have a clue no one else possesses, which leads to a triumph they never could have expected. Secret of the Satilfa is set squarely in the Southern literary tradition, revealing the friendship between Ted and Poudlum despite the racial divide in rural Alabama in the late 1940s. Ted’s questioning of why he and Poudlum attend separate schools must go unanswered, while the boys imagine a future without such barriers. Peppered with vignettes of rural life, Secret of the Satilfa evokes a simpler time, but before Southern society had come to grips with racial segregation. Blair Publisher is on Goodreads! Have you heard? You can find Blair Publisher on Goodreads! Not familiar with Goodreads? Short and sweet, it’s a free website for book lovers. Imagine it as a large library that you can wander through and see everyone’s bookshelves, their reviews, and their ratings. You can also post your own reviews and catalog what you have read, are currently reading, and plan to read in the future. But don’t stop there – join a discussion group, start a book club, contact an author, and even post your own writing. Basically, it’s a fun place to track what you’re reading and what your friends–Blair included!–are reading too. So we invite you to join us on Goodreads. If you don’t already have a free account with them, go here. Then curl up with a good book–our latest favorites are listed here–and join the conversation. We’d love to hear what you’ve got to say, especially about our upcoming fall titles. Check back soon for more highlights on them. If you like “Pirates of the Caribbean,” you’re going to love this. Edward Teach, better known as Blackbeard, was one of the most notorious pirates ever to plague the Atlantic coast. He was also one of the most colorful pirates of all time, becoming the model for countless blood-and-thunder tales of sea rovers. His daring exploits, personal courage, terrifying appearance, and fourteen wives made him a legend in his own lifetime. One August night, two young law students knocked three times on the huge door to Blackbeard’s castle, spoke the secret password, and gained admission to a ceremony steeped in local legend. Judge Charles Harry Whedbee was one of those students, and he waited more than fifty years to tell the story of the night he drank from Blackbeard’s cup—the legendary silver-plated skull of Blackbeard the Pirate. 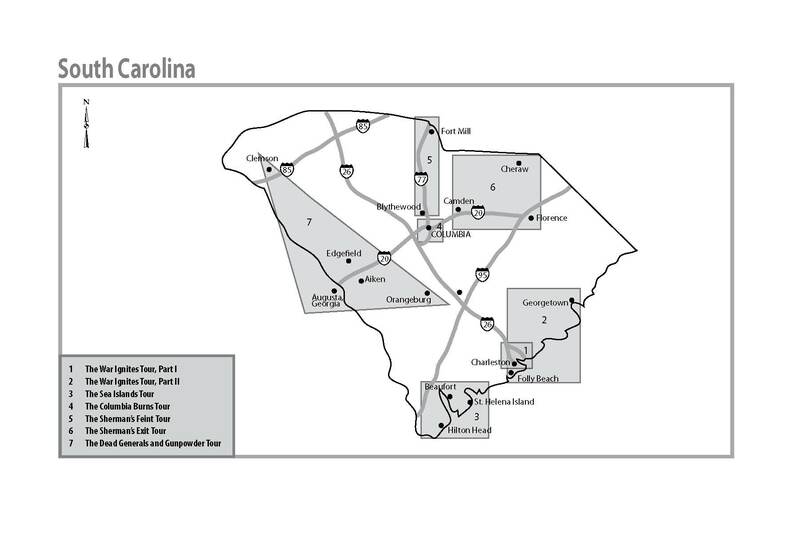 For centuries, the people of eastern North Carolina have spun tales to explain local phenomena and bizarre happenings. For decades, Judge Whedbee collected and preserved that lore. In Blackbeard’s Cup and Stories of the Outer Banks, he once again went to the source and returned with sixteen tales that attest to the rich oral tradition of the coastal area. Why does the stone arch over the entrance to Cedar Grove Cemetery in New Bern drip blood on passing mourners? Who carved the word CORA in the gigantic live oak tree on Hatteras Island? What causes the sound of cannons firing off the coast of Vandemere in the summer? How did the rare creature known as the sea angel come to be? Why did an Edenton doctor spend a fortune searching for buried treasure? These are only a few of the mysteries contained in this fifth collection from North Carolina’s beloved raconteur. They were bold, arrogant, brutal. They strode the rolling deck of a ship more easily than the tame streets of a town. They were wealthy—some beyond the wildest dreams of the governors and kings who first supported them, then pursued them. They were the pirates of the 17th and 18th centuries, and they terrorized shipping lanes and coastal villages in the Caribbean and around the world. The pirates in this book sailed far and wide, but all made their mark on the Atlantic coast. Some made their home there, such as the notorious Blackbeard, who anchored his ship off Ocracoke Island and lived for a time in Bath, North Carolina. Others put ashore just long enough to change seafaring history, such as the rakish “Calico Jack” Rackham, whose chance meeting in Providence, Rhode Island, with a spirited redheaded girl would give the world another legendary pirate—the beautiful Anne Bonny. Though popular culture has created an image of a “typical” pirate, plying his trade with dash and vigor beneath his skull-and-crossbones flag, in reality these men—and women—were of character and background as varied as the flags they flew. In this collection of pirate tales, you will meet scions of colonial aristocrats like Rhode Island’s Thomas Tew and the dandified Stede Bonnet of Barbados; off-spring of unassuming farm families like Pennsylvanian Rachel Wall and Massachusetts’ Charles Gibbs; and those like Edward Low of England, who escaped lives of desperate poverty and squalor by putting to sea. What these men and women had in common was a yearning for excitement, a love for the seafaring life, and a taste for the wealth that piracy could provide. Romance, danger, suspense, adventure—all this and more awaits you on board the tall ships with the pirates of the Atlantic coast. Congrats to our IPPY Award winners! We’re pleased as punch that Blair and its distributed lines have taken home three IPPY Awards this year. Congrats to our authors and presses! Rising from Katrina: How My Mississippi Hometown Lost It All and Found What Mattered, by Kathleen Koch, received Gold in Southeast – Best Regional Non-Fiction. My Only Sunshine, by Lou Dischler (Hub City Press), received Silver in South – Best Regional Fiction. 27 Views of Hillsborough, Introduction by Michael Malone (Eno Publishers), received Gold in the Anthologies category. Winners were selected from 3,059 entries in the national categories and 848 regional entries. Winners come from 46 U.S. states plus the District of Columbia, 7 Canadian provinces, and 7 countries overseas. 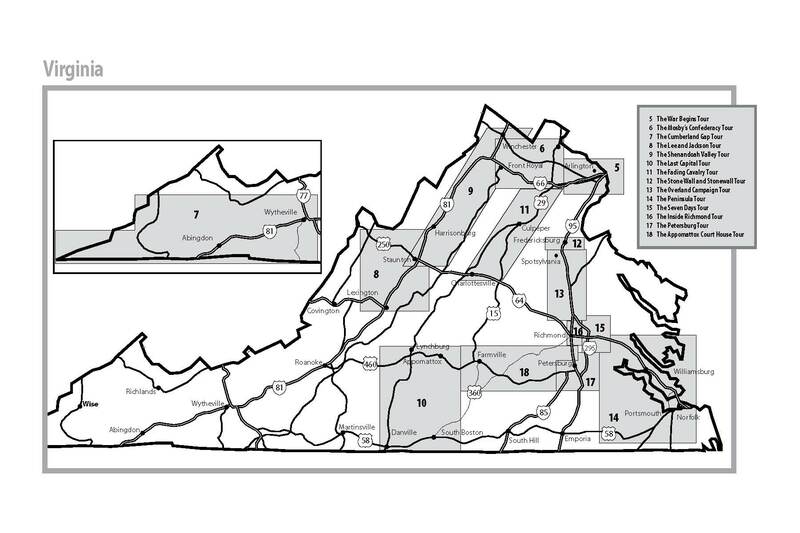 In the minds of many people, Virginia is the Civil War. It is the state most closely associated with Confederate luminaries Lee, Jackson, Stuart, and Mosby and Union leaders Grant, Sheridan, Burnside, McClellan, and Pope. 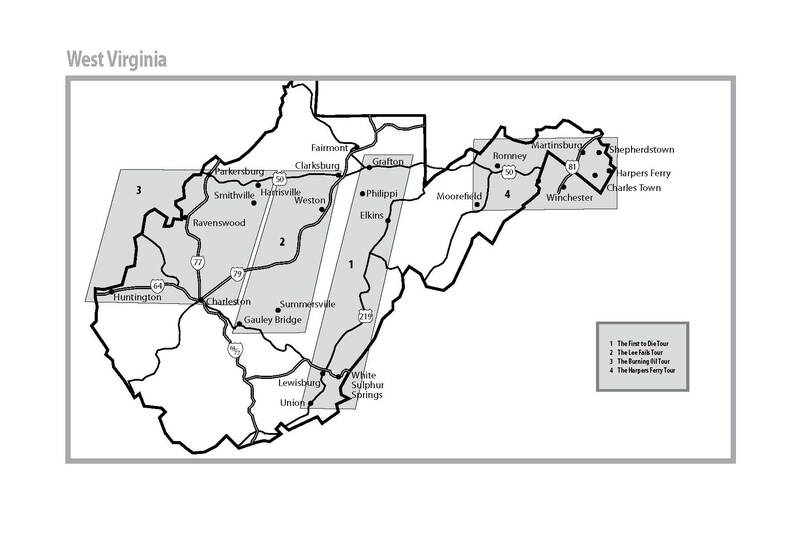 But when Virginia’s general assembly voted the state out of the Union, citizens west of the Shenandoah Valley voted themselves out of Virginia, creating the Union state of West Virginia. Touring Virginia’s and West Virginia’s Civil War Sites covers all the significant sites in both states. Hampton, Virginia, has the only original artifacts from the USS Monitor—not to mention a working model of the ironclad’s underwater flushing toilet. Read more in the following excerpt from Clint Johnson’s Touring Virginia’s and West Virginia’s Civil War Sites. 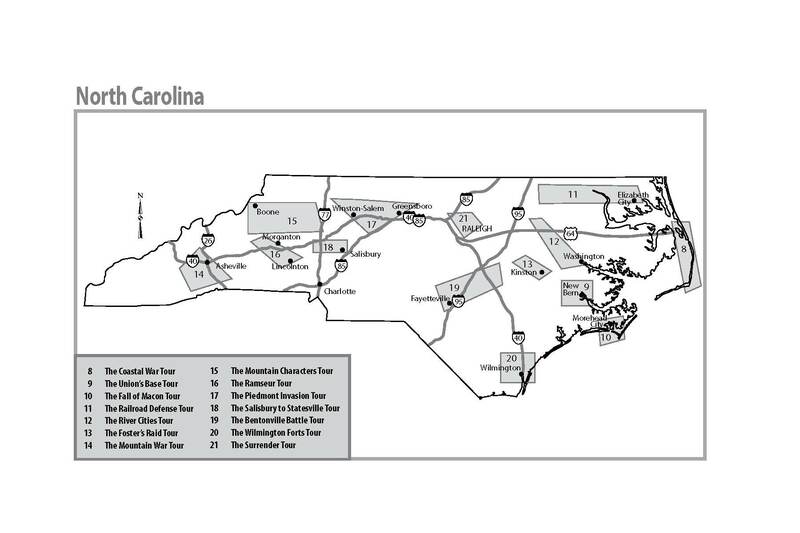 I left you with maps of the 21 tours in my last post, and this time, here’s an excerpt from Touring the Carolinas’ Civil War Sites. Enjoy! If you have plans to commemorate the 150th anniversary of America’s Civil War, you don’t want to miss Clint Johnson’s latest publications: second editions of both Touring the Carolina’s Civil War Sites and Touring Virginia’s and West Virginia’s Civil War Sites. Anyone can read about the American Civil War, but it’s visiting the old war sites that brings the action to life. Touring the Carolina’s Civil War Sites and Touring Virginia’s and West Virginia’s Civil War Sites take travelers and armchair travelers to familiar and virtually unknown Civil War sites in those states. They share stories about battlefields, historic homes, and landmarks, as well as the men and women who walked–and sometimes died–on that ground. And where exactly will these tours take you? Take a look for yourself (click on the images below to view larger versions). Check back tomorrow for some fun excerpts from these tours!